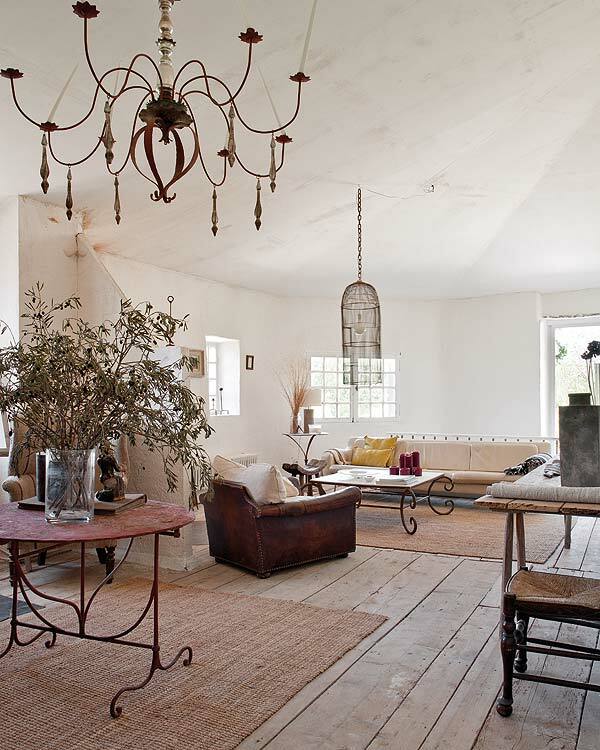 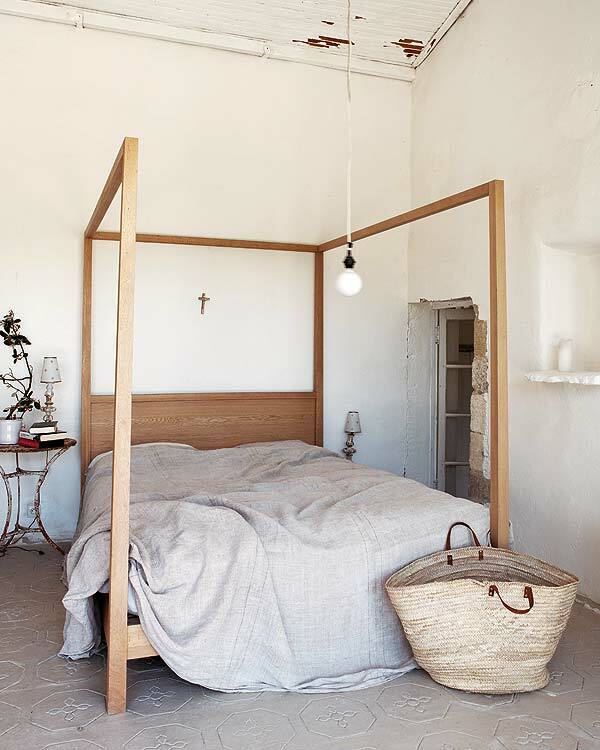 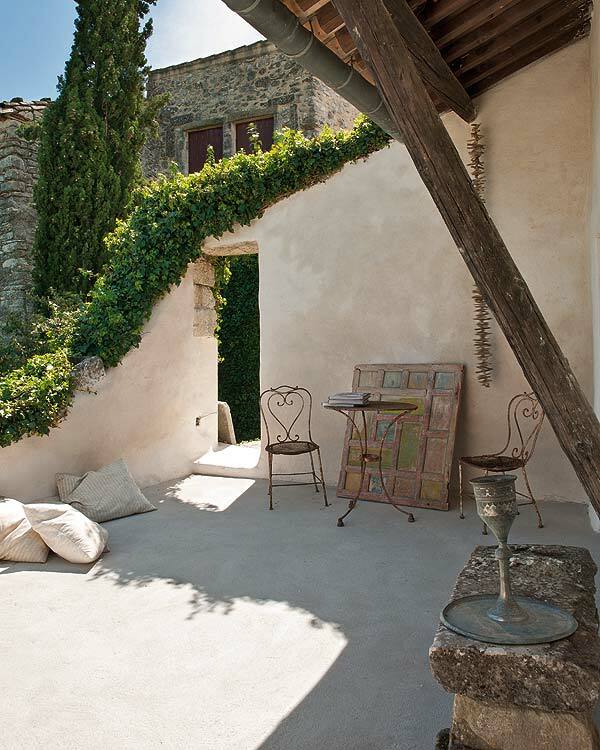 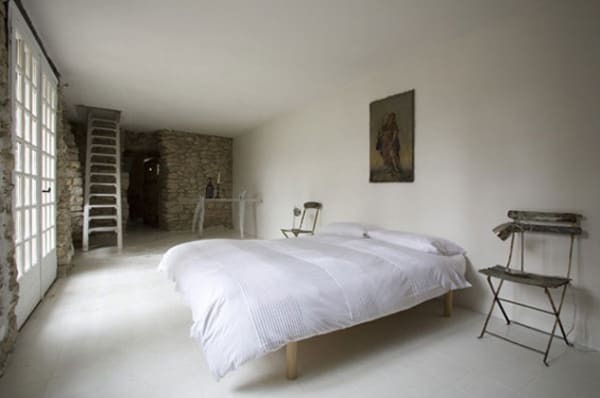 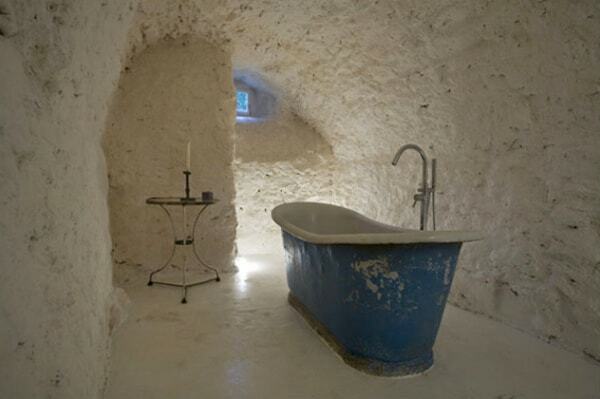 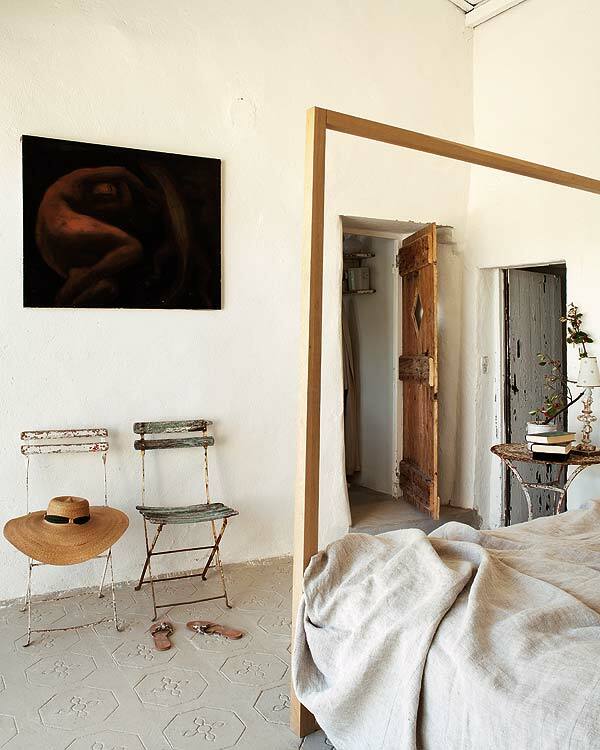 Rural shabby chic, warm are the strong points of this gorgeous home in Provence, France. 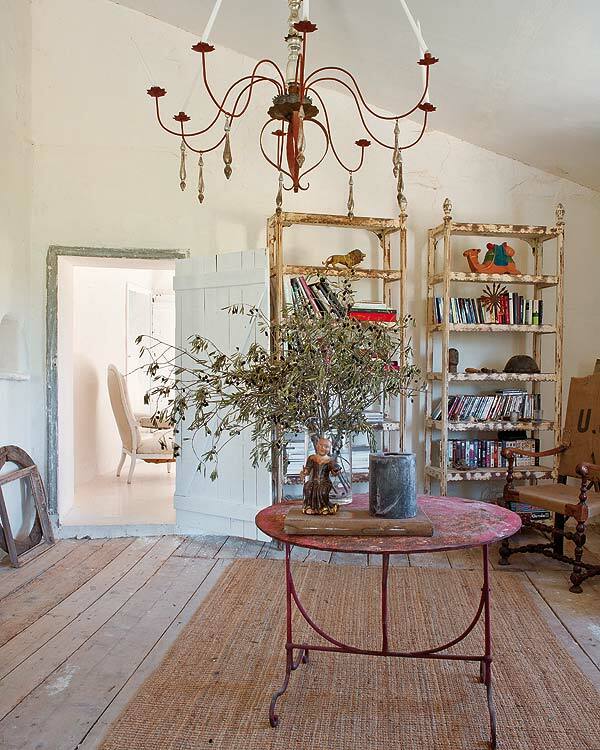 Owned by an English antiques dealer, Josephine Ryan the restored abandoned village house is filled with beautiful details from her shop. 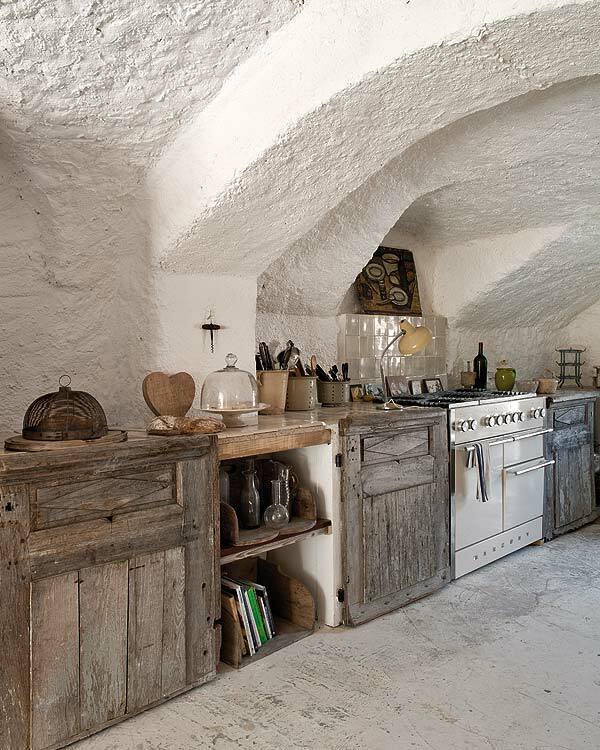 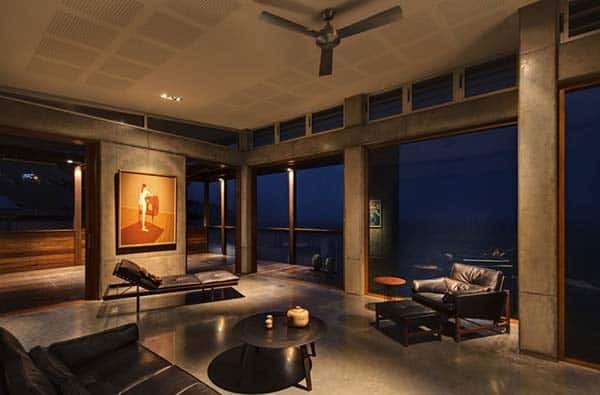 The home had been uninhabited for a long time and required hard work and imagination. 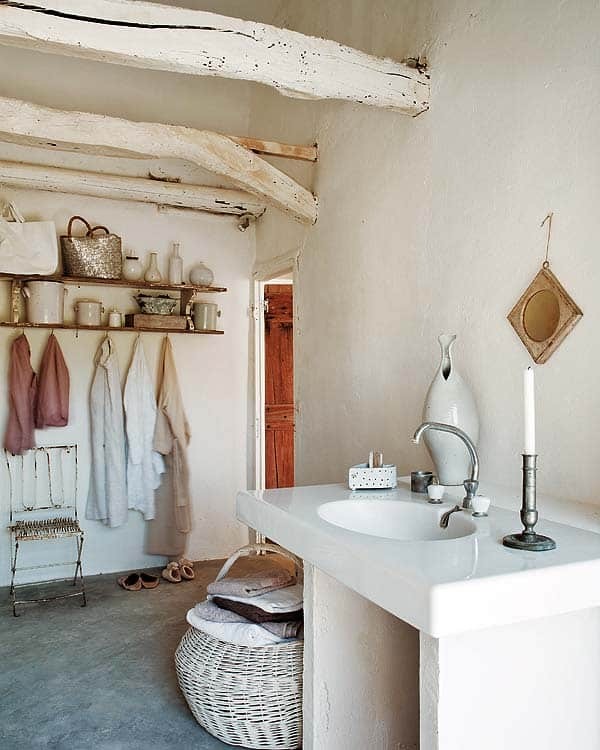 The result is inspired simplicity, an eclectic home packed with small stories of objects experienced and worn by the passage of years, interspersed with new pieces of high quality. 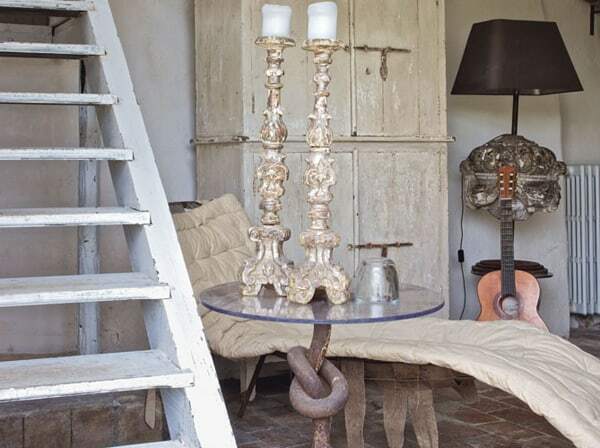 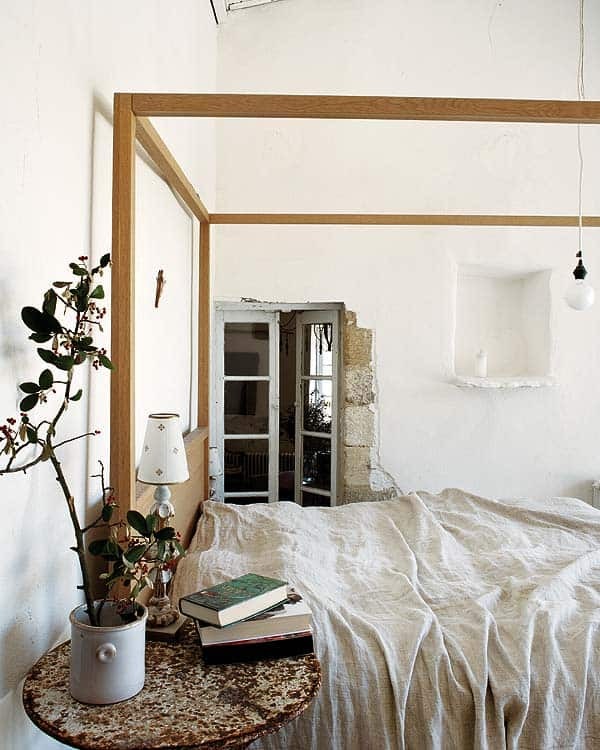 The home is a mix between cave and a rural chateau, Josephine defines the home as â€œa mix of modern, rusty and extravagantâ€. 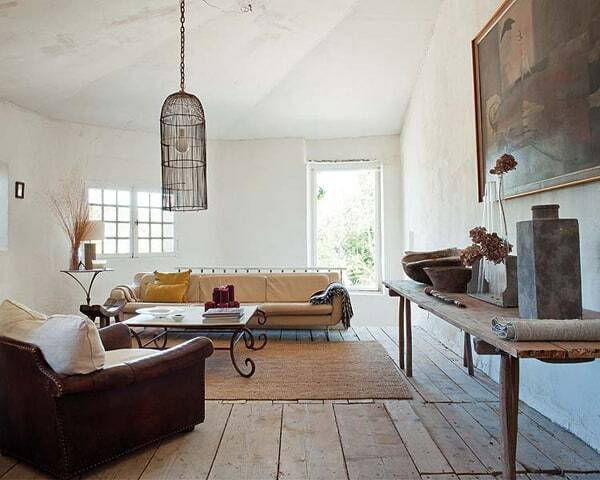 Currently the home is being used as a vacation rental and for film shootings. 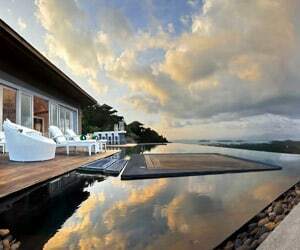 To inquire about either, please follow the link . 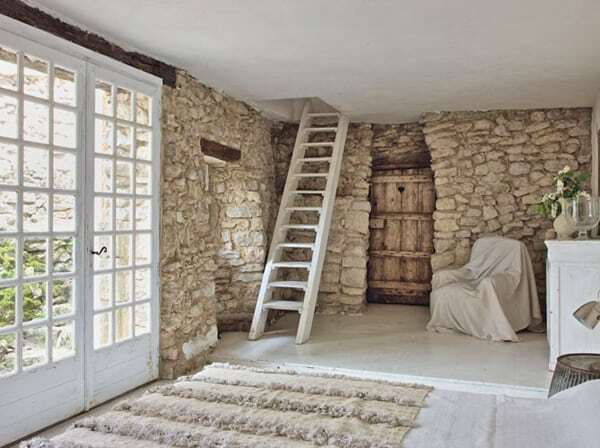 These rudimentary stairs lead from the dining room to the living room. 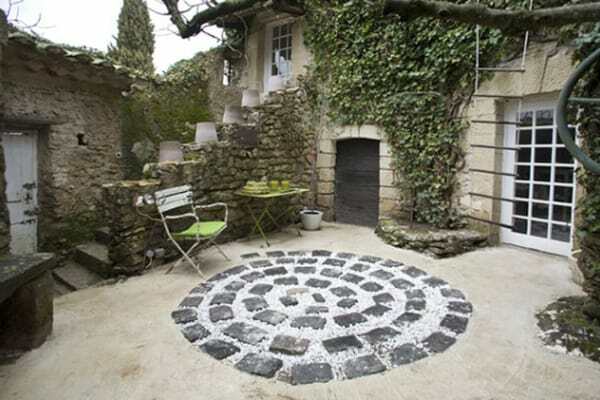 Glass topped wrought iron round table. 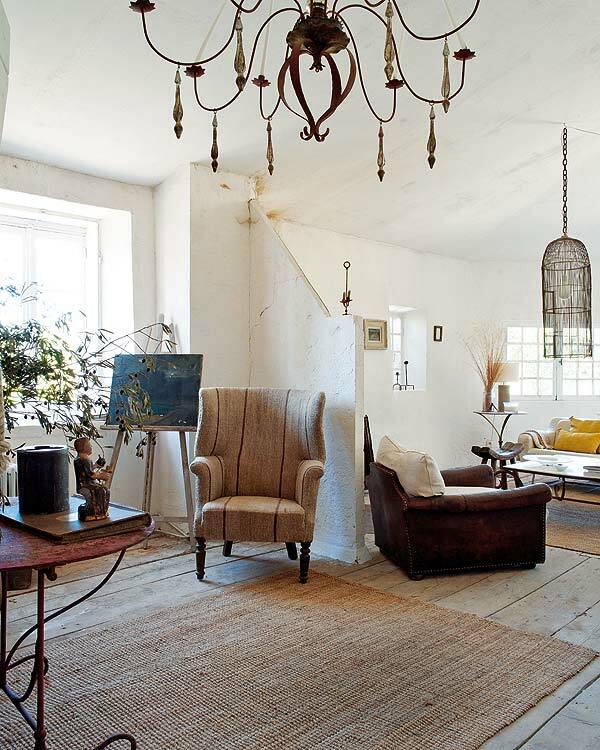 The lamp is made with a dark gray shade mounted on an 18th century architectural element. 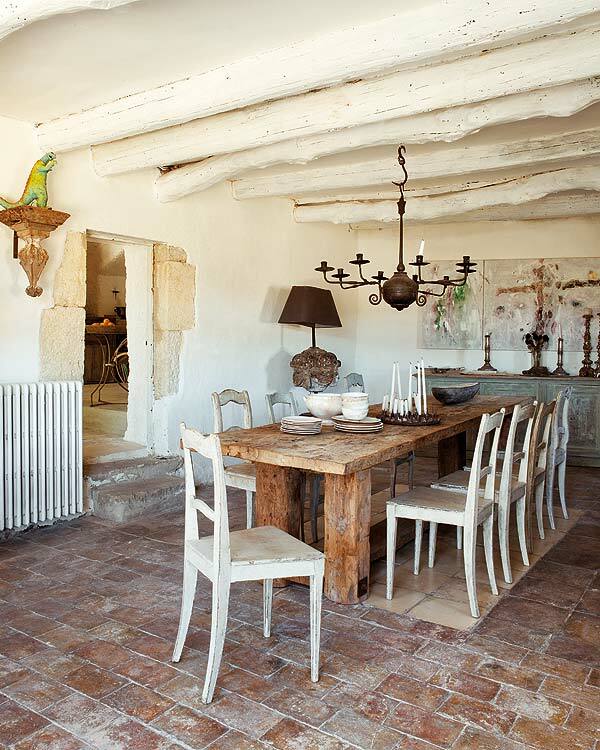 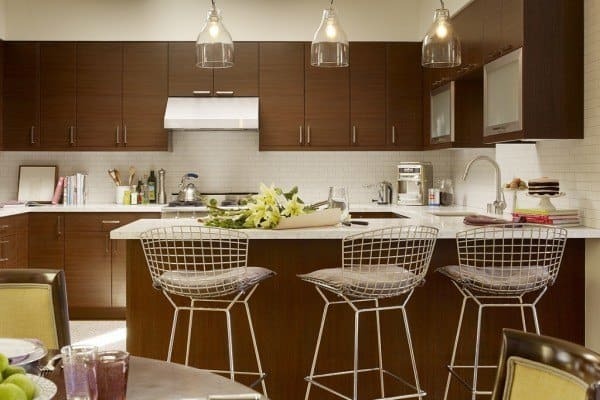 The table in the dining room stands on a cream coloured cement tile rug. 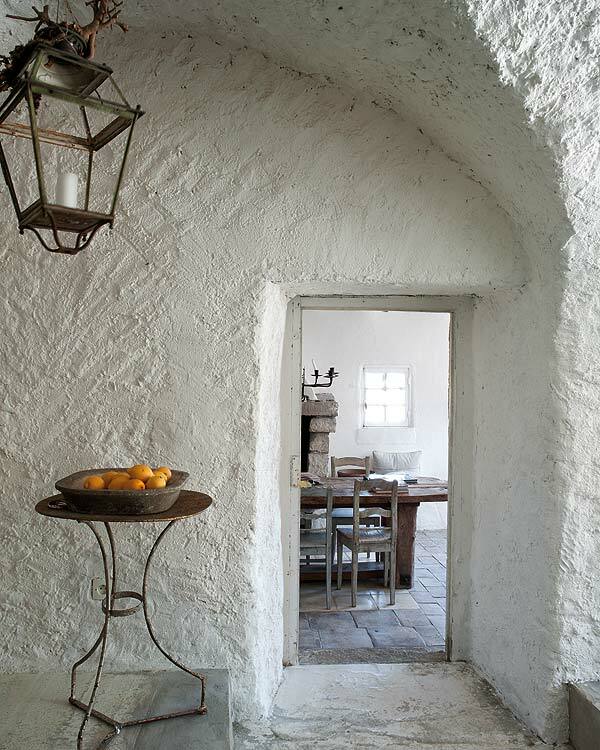 Opening onto a corner of the garden, the dining room’s main features are original such as the reddish clay flooring, wooden beams, and stone fireplace. 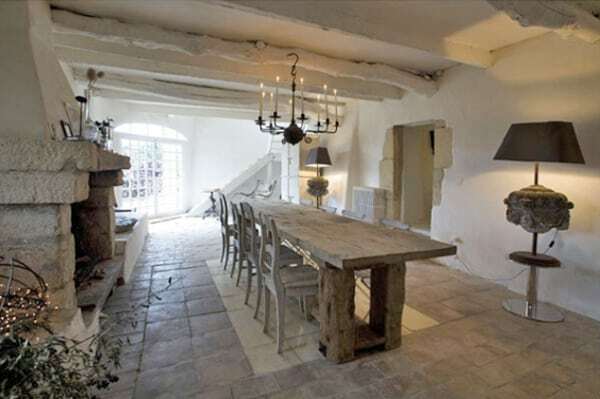 Distressed Swedish wooden chairs surround the farm style table which was custom made. 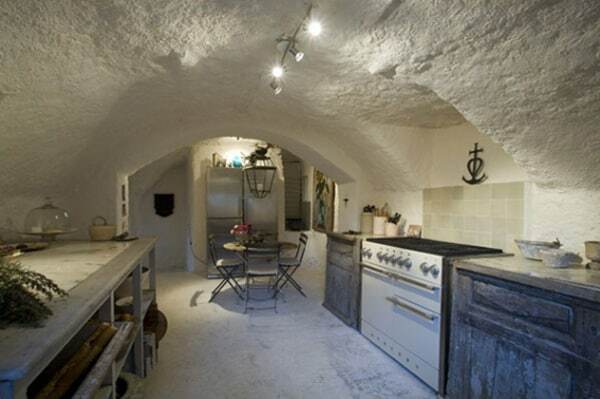 The vaulted ceiling in the kitchen was restored. 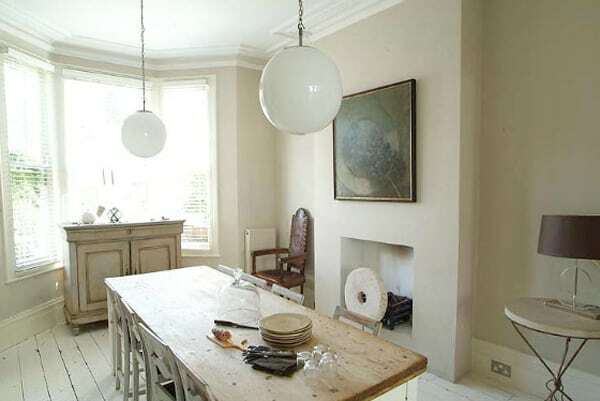 Cupboards and tiled worktop were custom made. 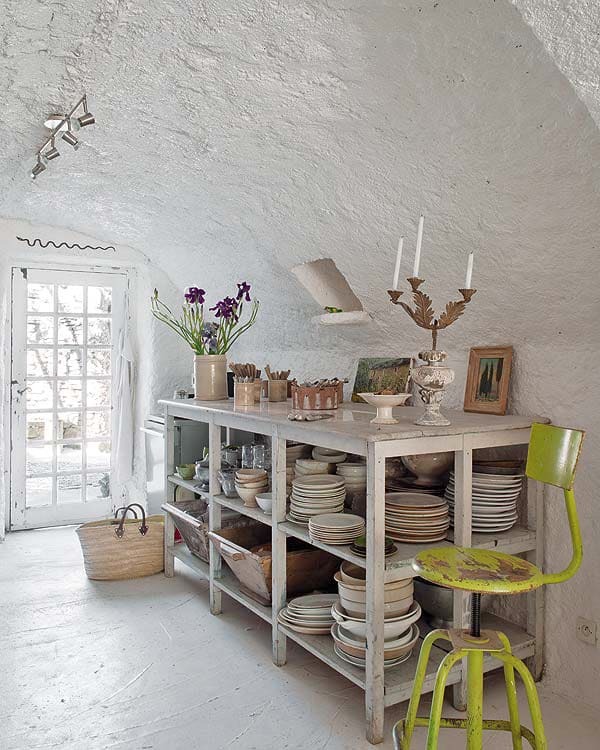 In the bathroom corner, mottled pottery from the region is arranged on distressed shelves. 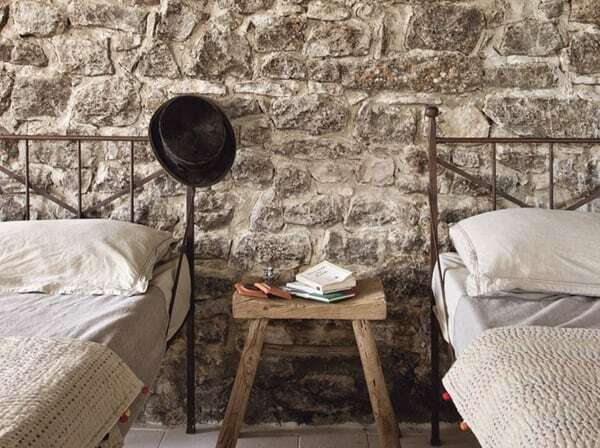 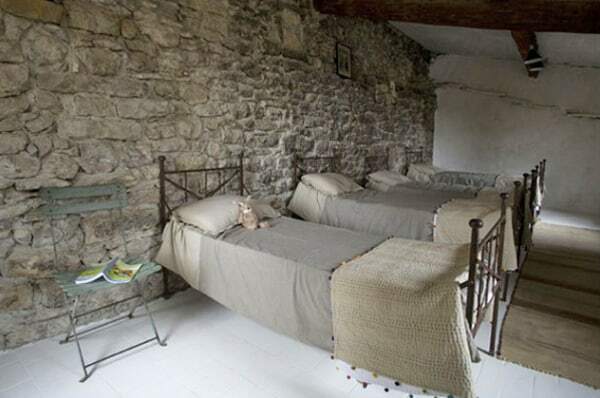 Twin iron beds from a convent in the children’s room located above the guest room.